How grear would that be? What are some funny websites/ forums that aren't littered with racist scumbags? What is the point in karma/upvotes on reddit? Why don't you use Reddit? What is “rep” on TSR? It would be rubbish. You wouldn't be able to see the flow of the conversation. TSR already allows you to rate posts, but it makes far more sense to keep the posts in chronological order. We already had a downvote system, which has been removed for a few years now. As others have said, TSR had the down-vote button removed because of people abusing the system. i.e. trolls, cyber-bullying with people ganging up on others they did not like or had a grudge against (normally mods), people posting deliberately contentious statements to get maximum -ve rep. It ruined many debates because it stopping people posting through fear of having their good +ve status wrecked. From what I can gather is the issue more with the way down voting was implemented, rather than the fact it wasn't useful? If people had used it properly and it was used l to identify poor posts or low quality content would it have been useful? I would personally find it very useful to be able to identify useful posts for example if I was looking for the best answer to a question. Down reps were awful. The forum felt a lot more hostile back when we had them. Getting rid of it was a good thing. 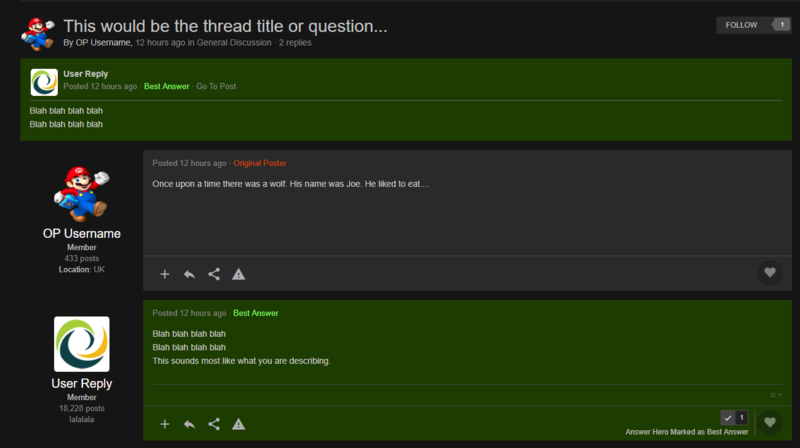 The layout of posts is kinda different on TSR - like another poster mentioned flow of conversation would be affected. Besides downvotes on reddit aren't used properly as it is tbh. They are in some cases but if one post is downvoted it can get mass downvoted even if it didn't deserve to be. The concept of "upvotes and downvotes" doesn't translate to TSR because the way rep is implemented is fundamentally different - it doesn't determine what shows on the feed or forum(s). As above, there used to be negative rep, and it was (rightly) removed, so I doubt it will be brought back. Aside from that the fundamental design of reddit is appallingly bad and patently stupid. It's ironic that redditors spend so much time going on about alleged "echo chambers" in communities on other social media platforms when their platform of choice is an echo chamber by design, independent of what community is using it. So, I don't think it'd be a good idea to change the format of TSR to match that of reddit either. Hey I completely agree about the flow of conversation, having the posts ordered chronologically works really well for the sort of conversations we have on TSR, but what if there was a filter/switch next to the page numbers or something that let users see the 'most repped' answers first or sort in a similar way to reddit. Questions like "What is the best way..." "I need help with..."
An easier option would to be introducing mark as answer.. No drastic change to the site layout/certain section and no 'drastic' dev work.. just if several people mark a post as answer there could be a tagline "Go to answer" and that post is highlighted. Sure it's not totally down to ordering by rep but it's a nice in-between where the important post is highlighted. Helping both OP and users which stumble across the thread via google. I know a lot of people do get confused with reddit and feel their replies won't get upvoted if they aren't one of the popular crowd in a sub. Especially made worse on TSR where there are many more aspects to your post (Avatar, Username colour, Ranks ect) which will affect your presence when posting. Yeah that sounds good CrazyKittenLady. Lets think about how this could work and discuss with the team. Keep other options on the table though for discussion. The Student Room vs Reddit? Is it true you used to be able to downvote posts on TSR?